I am very pleased to have Carol Marine joining me today. Carol is accomplished in many areas of the art world. She is the writer of the best selling book Daily Painting, co-founder of an online art marketplace, a successful fine artist and teacher. Thanks for joining me Carol. Could you briefly introduce yourself for those who may not know you? Art was my big love, so I pursued it. I notice you studied art at the University of Texas. What were your thoughts on your education, the teachers and what you were taught? I didn’t have a great experience learning art at UT. My professors were far more focused on the concept behind art than any technique, so they never did demonstrations or gave lectures on the basics of art: value, color theory, composition, etc. I suppose the one upside was that I had many, many hours of enforced studio time, so I ended up learning some on my own through trial and error. Is there anything you wish you were taught in University which was not provided? I’ve been teaching workshops now for about 10 years and each one is a 5-day boot camp of sorts, that includes all the stuff I wish I had learned in school. 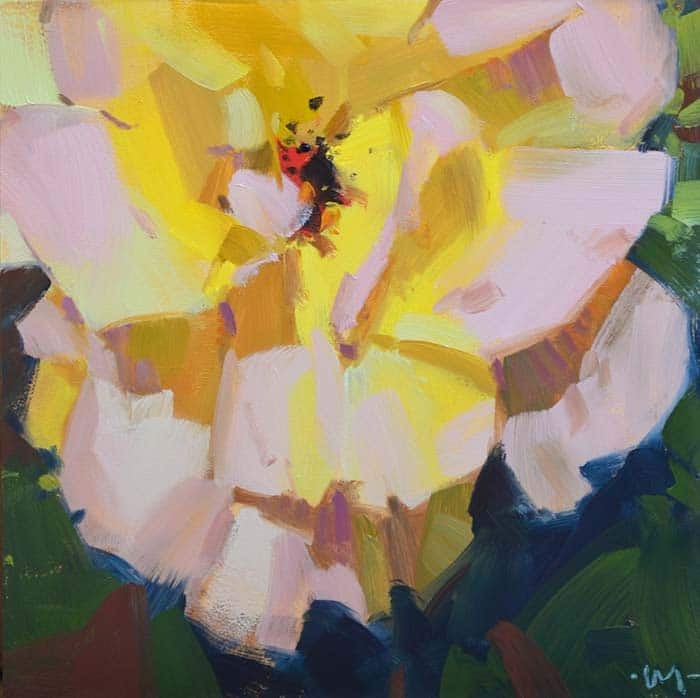 I also teach about the business of selling art online, and the practical aspects of what to paint on/with, when/how to varnish, how to ship paintings, etc. The one useful thing I DID learn in school was how to build a stretcher and stretch a canvas, for which I am grateful, but there could have been so much more. Was it an easy transition into the commercial art world after graduating? Did you have any particular struggles? As you can imagine, after four years of almost no instruction, I was a bit lost. I was lucky enough to meet and marry my husband toward the end of my University experience. He encouraged me to keep painting and supported me while I did so. I spent several years doing one big, bad painting after another (because we always did big paintings in school, and it never occurred to me to do small ones). I vacillated between being so depressed about the big, bad paintings that I didn’t get out of bed, to doggedly painting anyway, and slowly teaching myself to paint. Eventually I got into a good gallery that sold my work. Are you represented by galleries and if so, what has been your experience with them? I am not currently represented by galleries. Also, unfortunately, some of the galleries didn’t always pay me when they sold my work, so I had to hassle them, which was quite unpleasant. 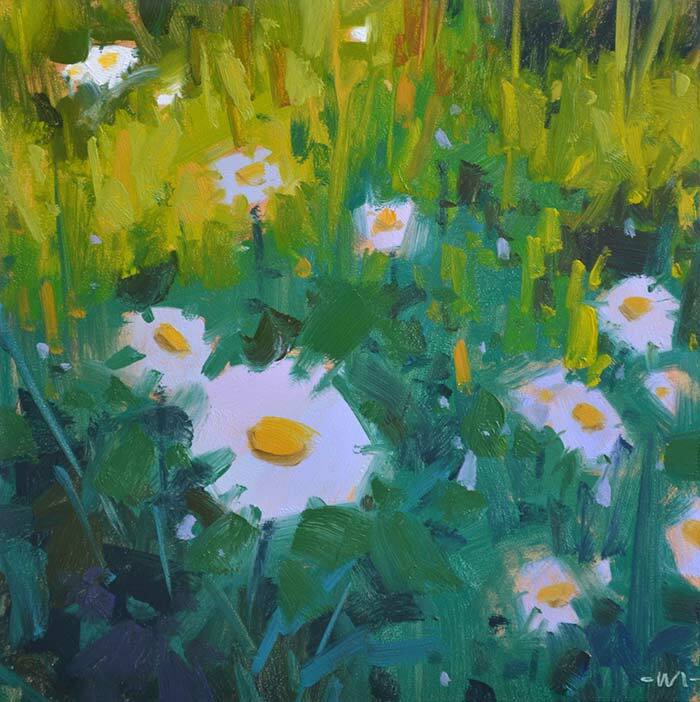 In 2006, I started the practice of “daily painting,” painting small and often, and selling these paintings online. After about a year I was making more than I had ever made in galleries. After about five years I decided to get out of my galleries and experiment with selling larger work online. What I have found is that while small work sells very well online, larger work will, slowly, but won’t fetch the kind of prices you expect in galleries. My guess is that people aren’t willing to spend the larger sums on art they can’t see in person, which is understandable. Do you have any tips for artists trying to sell their art? My advice if you want to pursue both venues (galleries and online) is to keep the sizes different. 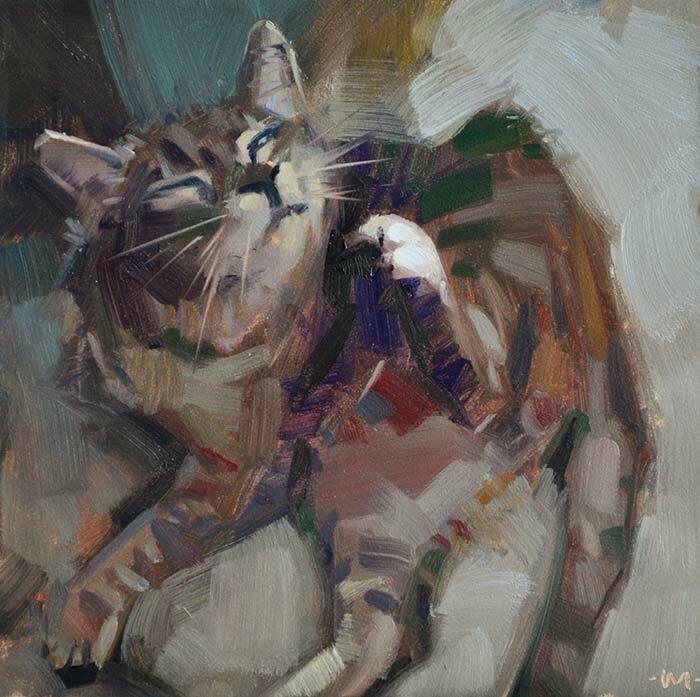 For example, if/when I get back into galleries, I will never sell anything larger than (say) 8”x10” online, and never anything smaller than 10”x10” in a gallery. This tends to keep everyone happy, as the price points end up being different. Another bit of advice about selling art – don’t rely on any one venue. Whether you are selling online or in galleries, take advantage of social media. I use Blogger, Facebook, Constant Contact, Instagram, Pinterest, etc. If you don’t put yourself out there, no one is going to discover you! I find that people spend so much time focusing on how to market their art and not enough on the art itself. So I think this is great advice, though as Steve put it, unpopular. You have had great success with your book, Daily Painting. Could you briefly explain the concept behind this book and what you wanted your readers to learn about art? I have gotten SO much out of painting small and often. This book was my way to share not only what I have learned, but to encourage others to try it as well! I think that you learn as much about value, composition, color, etc. from a small painting as you do from a large one. And what happens is that while you are painting, you have little “aha!” moments. 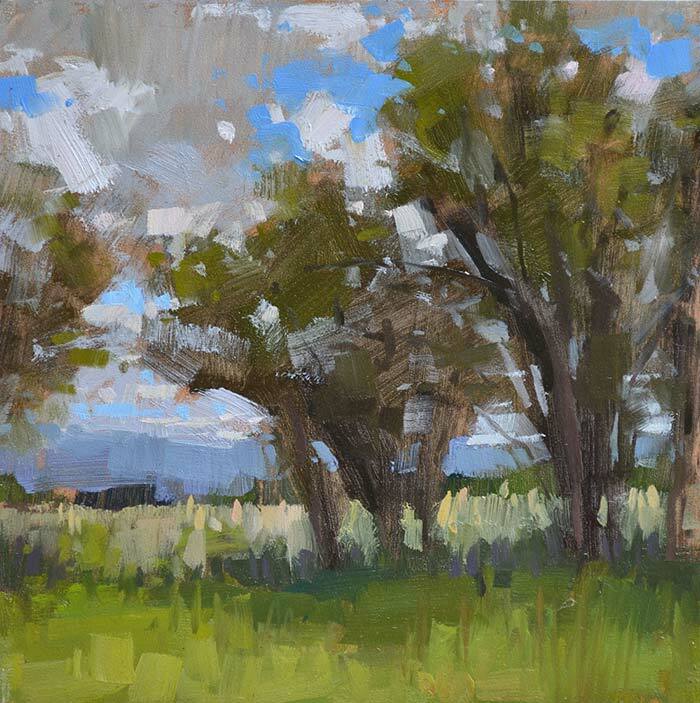 They could be, “Oh, that didn’t work,” or “What would happen if I tried…?” but if you are painting daily, you will be able to apply these thoughts to the next painting. 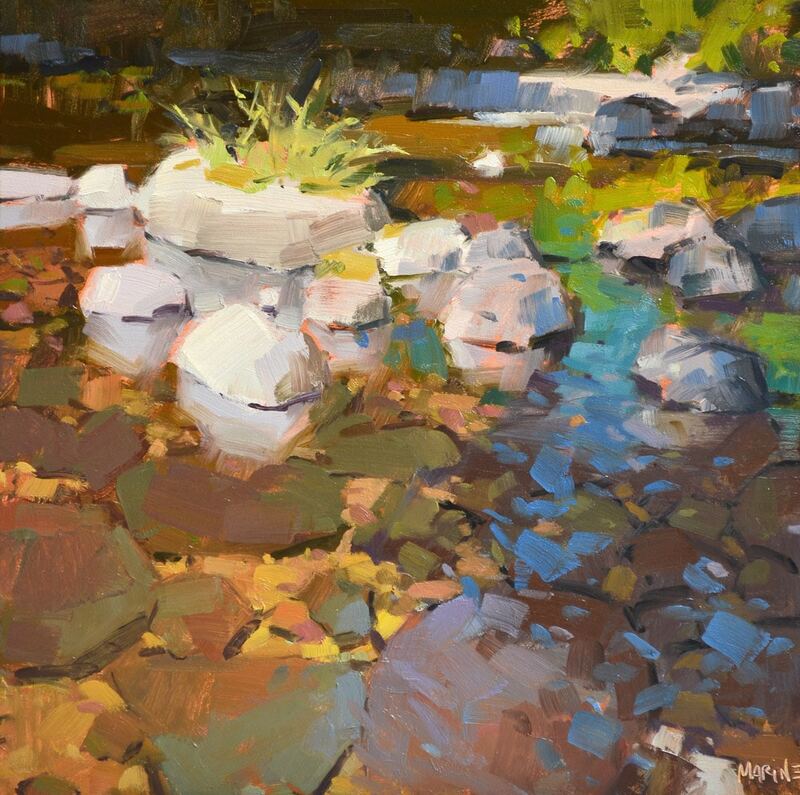 If you paint once a week or month (or less), you will have forgotten these epiphanies, and it will be like you are starting over every time. You also co-founded with your husband an art auction website, www.dailypaintworks.com. This website must give some fantastic insight into how the commercial art world works, particularly in relation to online sales. Have you noticed any kind of artworks which have sold particularly well on your website? 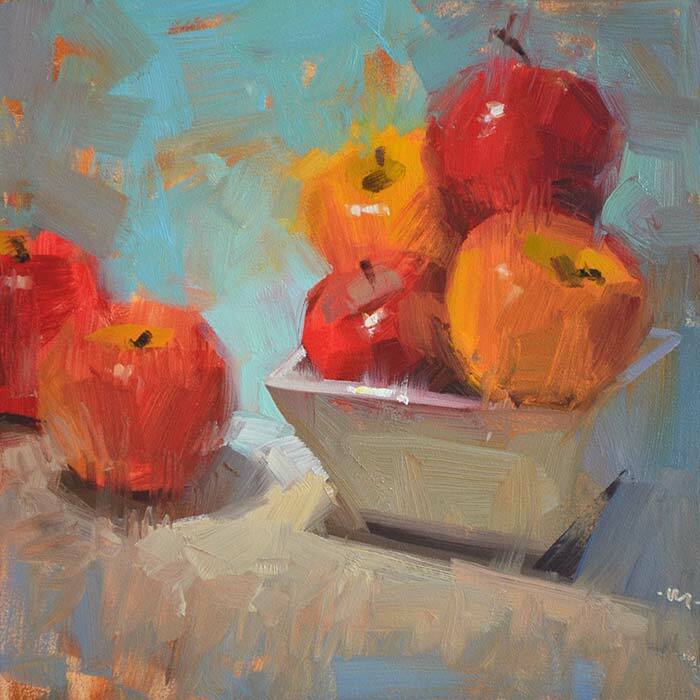 Again, I would say that small work sells best online, including Daily Paintworks. 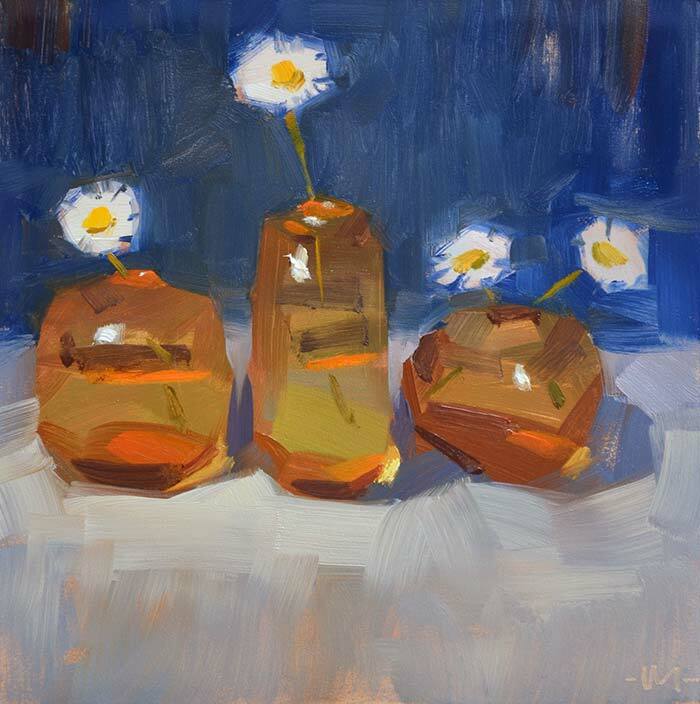 When our website was younger, it was still lifes that were selling best, but I think that was because people were PAINTING more of them. Now it seems that landscapes are selling more. Do you have any tips for aspiring artists trying to make it in the commercial art world? Yes, ignore the statistics and paint what you love! That passion will come through in your work, and people will respond. Plus, you will be happier, and isn’t that the most important goal? Thanks For Joining Me Today Carol Marine! I would like to thank Carol Marine for joining us today. 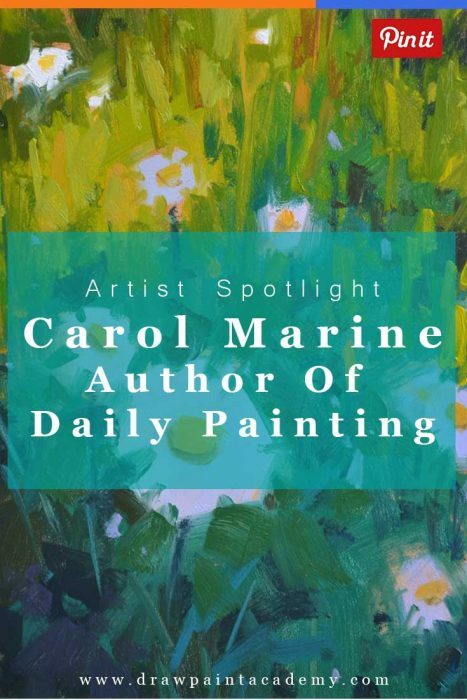 You can buy Carol's book here and see more of her paintings on her website. There is a lot of valuable information here, particularly in relation to the harsh realities of being an artist and the commercial side of the art world (which does not appear to be taught at many art schools). Please note there may be affiliate links throughout this post. If you decide to buy anything through these links, I may receive a small commission at no additional cost to you. These funds are used to help grow this website and spread art education to people around the world. If you have any questions or comments, please share them in the section below. Love Carols work and her book is amongst my favourites on my shelves. I aspire to see hue and temperature the way she does. I really enjoyed the interview. I like the idea of painting smaller and daily, so trying new ideas more often. Thanks for sharing!